Customer behavior is in a state of continuous flux. Businesses seeking success in a highly competitive world need to understand how their customers behave. Those in the logistics and fulfillment business need to understand how vital their role is for customer satisfaction. 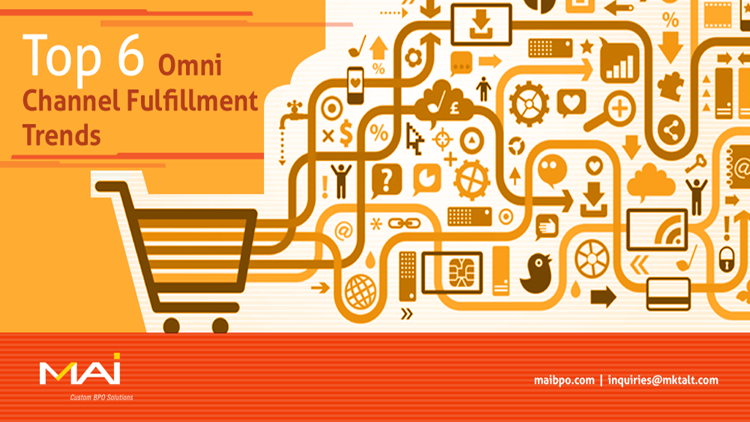 E-commerce is now well entrenched across all sections of the populace, from older generations to millennials. The popularity of mobile commerce brings a world of convenience, with the possibility to search and order a product any time, from anywhere. A student can instantly search for and order a book online when recommended by the instructor in a classroom. A commuter, seeing a fancy shoe worn by another commuter, can take a picture, scan it, identify the product, get its details and buy it before she reaches her destination. The possible situations and the opportunities are endless. Customers have been seeking instant gratification for quite some time now, but very few businesses have been successful in figuring out how to consistently deliver. Things are changing though. Smart businesses are learning from their mistakes and turning crisis into opportunities. For instance, retailers and shippers have taken steps to ensure the infamous holiday meltdown of 2013 (two million-plus packages were delivered late) does not repeat again. To speed up delivery, large 3PLs such as DHL and others are deploying drones. Internet of Things (IoT) technology can offer an effective blueprint for automated storage and retrieval of goods, processing orders accurately in double-quick time. A case in point is wearable glasses complimenting ring scanners and other RF devices, enabling the warehouse picker to locate an item through a heads-up display (HUD), improving productivity manifold. Likewise, robots are already an integral part of large warehouses. An immediate manifestation of the instant gratification trend is the changing profile of orders placed. About 33% of companies now expect smaller, but more frequent, orders with more orders coming from mobile devices and in-app purchases. Orders from such sources are growing at a rate of 10% year over year. The opportunity for retailers is the ability to fulfill such single-item orders in double-quick time from their nearest retail store, without having to process the order from a centralized warehouse and wrestle with shipping delays. Amazon is already toying with brick and mortar stores in strategic areas to ensure stock is nearer to customers. Returns are an integral part of the e-commerce business, accounting for more than 8.1% of sales per inbound logistics. While delivery of goods happens seamlessly, returns are often chaotic and plagued by delays. If customers find they cannot return an item as quickly and easily as they can purchase it, with no questions asked, they may re-think their purchase decision. Businesses need to set up a robust “reverse” infrastructure that accepts returns at stores as quick as possible. A major manifestation of technology in logistics now is in big data analytics. Predictive analysis, by applying simulation and advanced analytics to IoT and other data helps not only to pinpoint estimated delivery times with a high level of accuracy, but also predict any bottlenecks or accidents which may occur en route. For example, collating news and shipping route may enable predicting a strike or shut down in a route, allowing the business to preempt the bottleneck by opting for an alternative channel. Most fulfillment businesses usually have an integrated system to process orders. However, technology is a double-edged sword. While it can automate key processes, offer insight and unlock new possibilities, technology can also create glitches that did not exist in the first place. In the order fulfillment sphere, technology may enable identifying the product easily from the warehouse using RFID scanning, identify the fastest and most cost effective route automatically, allow customers to track the status of the order, offer visibility and real-time alert to managers in case of any bottlenecks, to enable instant remediation, and more. On the flip side, technology can create hold-ups due to server overload, system crashes and straight jacket orders into a fixed process with no allowances or flexibility. The trick is to develop highly intuitive software that leverages all the advantages technology offers, while making sure it is flexible enough to cater to contingencies and special occasions. As the adage goes, businesses have no option but to “shape up or ship out.” Top players not only do their processes well, they also take the time to identify the trends as they evolve, and adjust their systems to cater to the emergent trends in the best possible way.